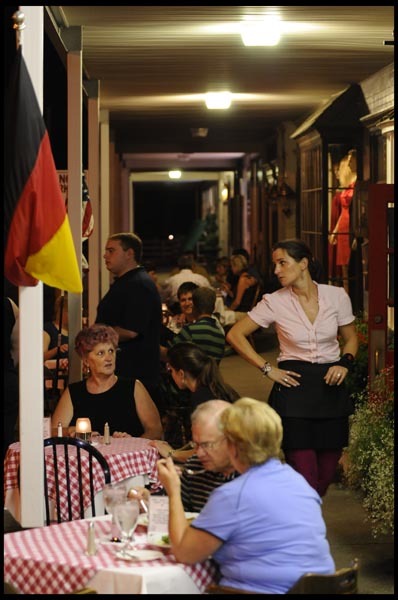 2008 September « GASTHAUS: got 'kraut? 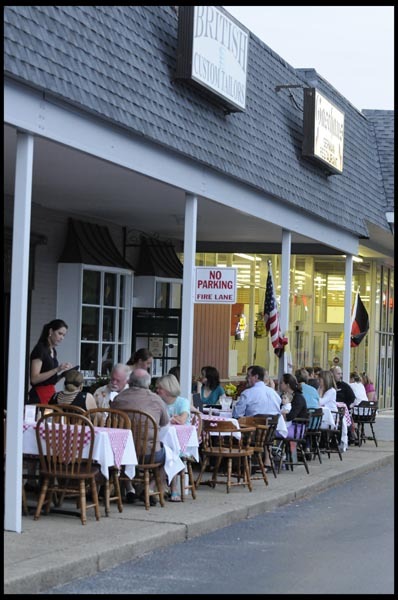 We are already known for our delicious food, home-made desserts and cozy atmosphere. 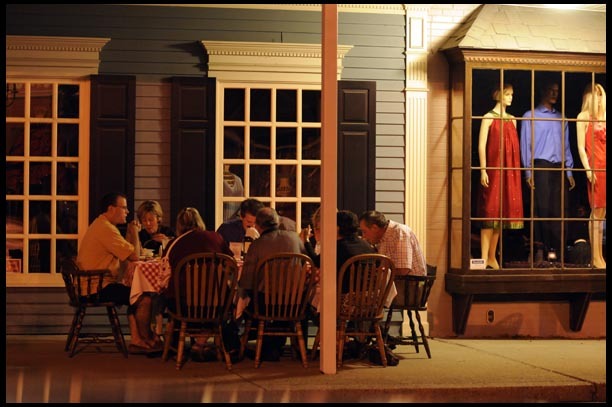 But don’t you think that we should be known for Louisville’s most romantic restaurant as well? 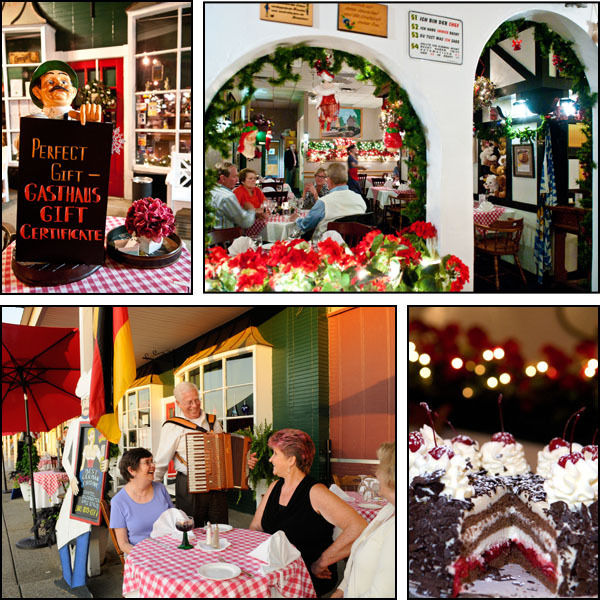 We have already been voted “Best German Restaurant” in wherelocalseat.com, let’s not stop there. 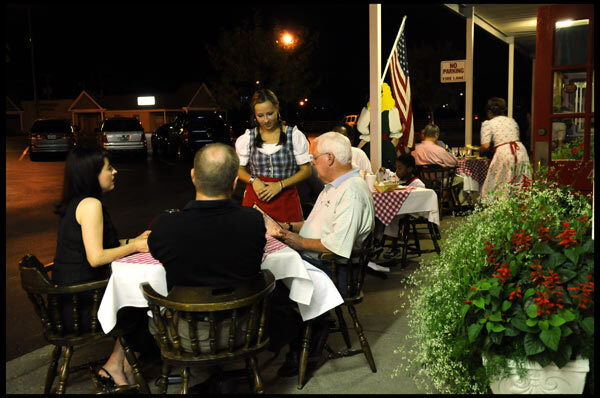 Please click here and vote for us as “Best Romantic Restaurant” on the WLKY site. Sorry, no prizes for voting, just hoping for your support. 🙂 Thanks. Sunday’s storm, which brought remnants of Hurricane Ike to the Kentuckiana area, knocked out power to 270,000 households. Five days later as I am writing this more than 100,000 are still without power. 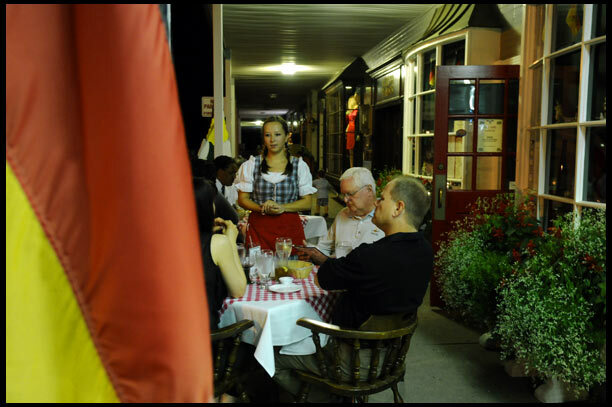 Waitress Jill serves her customers outside the doors of the Gasthaus. No oompah music here, but a full moon provided a nice atmosphere. On Saturday we still had no AC and decided to place more tables outside. Do you recognize anyone in this picture? After Sunday’s storms many of our surrounding areas have been without power. 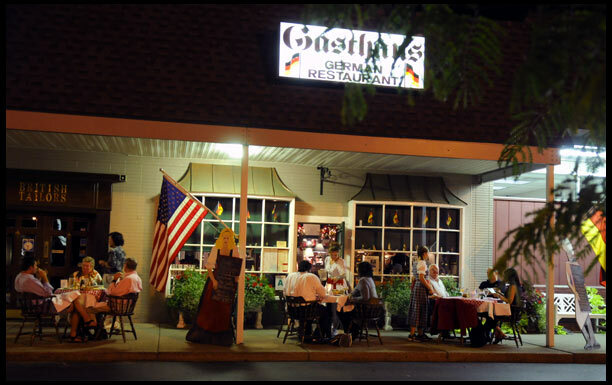 As of today, Tuesday, September 16, 2008, the Gasthaus has power and will open tonight at 6pm. We look forward to seeing you.